The farmer wants a wife! 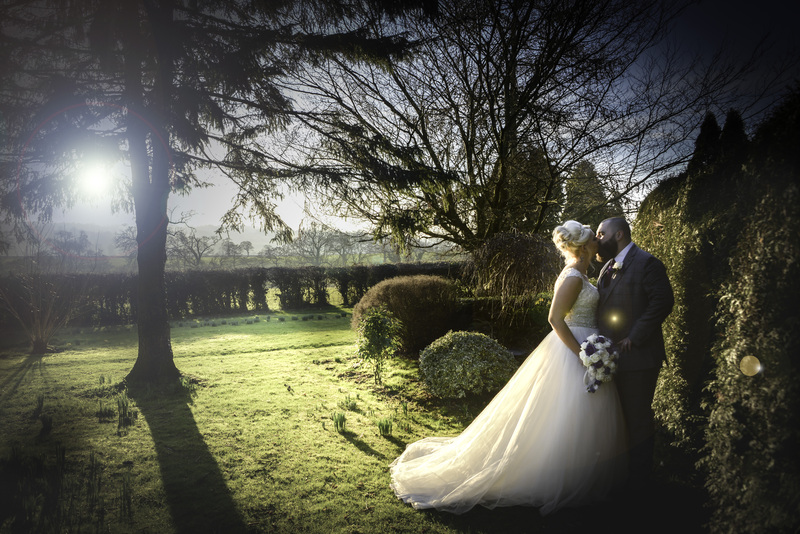 When farmers Chloe Oates and John Tabbener began planning their big day they wanted it to reflect their love of the great outdoors. 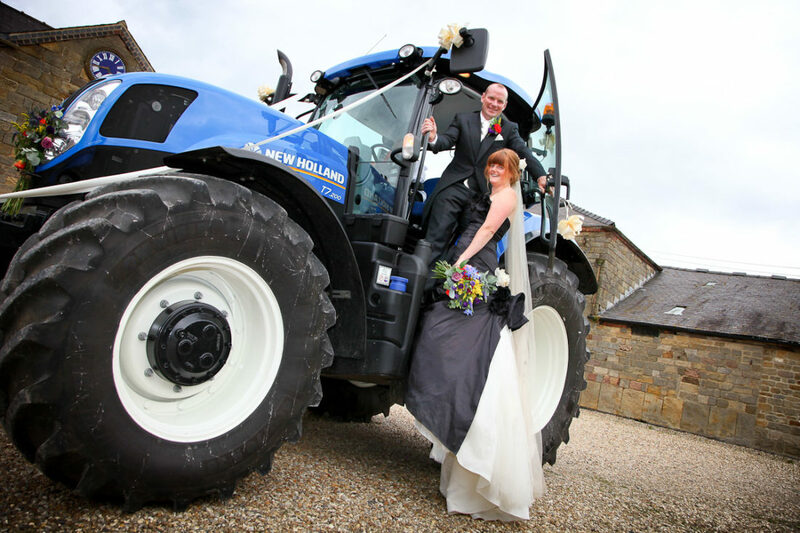 So the couple, who run Common Farm, in Belper, chose a tractor theme which ran right through the day – from the invitations to the wedding cake. Chloe (31) even arranged for John (30) and their three-year-old son Fred to arrive at Shottle Hall in a brand new 200hp tractor. 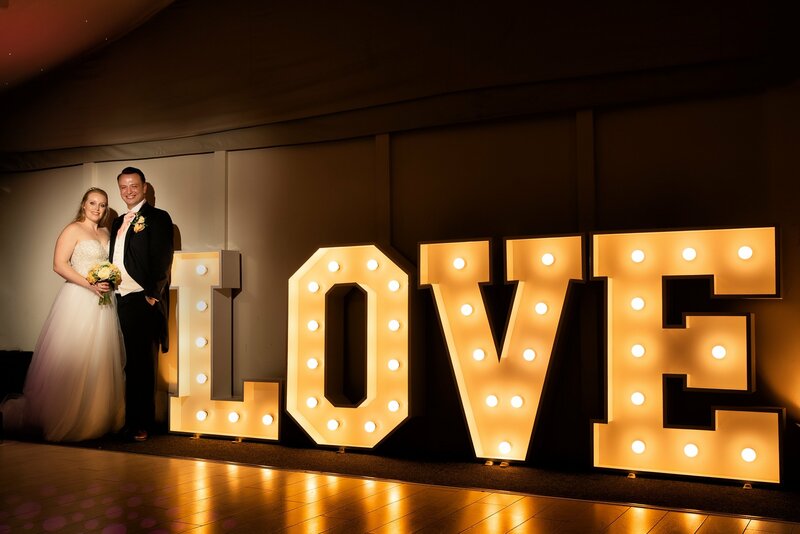 The couple, who had been together for 15 years, after meeting as teenagers at school, also incorporated a naming ceremony for daughter Grace into their special day. How we met: We met when we both started at Lady Manners School, in Bakewell, and started going out when we were 15 years old. We’ve been together ever since – in fact, it feels as if we’ve always been together. Because we’ve been a couple for 15 years, it really did feel as if we had a lot to celebrate. Proposal: Last Christmas John had been winding me up for months saying that he wanted a quad bike and I was getting really annoyed with him. On Christmas morning we got up early so we could get all the jobs on the farm done and then we took the dog for a walk. John took me into one of our sheds and presented me with a box – which contained a quad bike key. I was just about to throw it at him and stomp off when he got down on one knee and presented me with my engagement ring. I was that shocked I just collapsed on top of him. He had bought a quad bike – but I forgave him! Ring: It’s not a bog standard ring from any high street jewellers. John designed it and had it made (with some help from my mum) at Michael Levin Jewellers, in Nottingham. John and mum had secret ring designing trips to Nottingham and I had no idea. The ring is set in platinum and the main diamond has six smaller diamonds either side. The main stone is the diamond from my mum’s engagement ring from my dad, who died when I was just three years old, so it is very sentimental. Shottle Hall: I had read about Shottle Hall and I knew it sounded perfect for us – I wanted a rural setting and, like our farm, somewhere that is in the middle of nowhere. I didn’t look anywhere else – Shottle Hall was perfect. We had planned to get married at Wirksworth Church, which is where my mum and dad married, and then where my mum married my stepdad Pete. 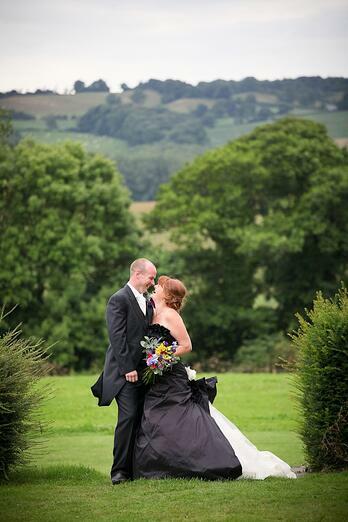 But when we looked around Shottle and heard that we could get married outside John was really keen on that idea. I thought I better let him have his own way - for once – although as it happened it started to rain so we married inside in the end. Wedding date: 17th August, 2013. Dress: Five years ago I went wedding dress shopping with my sister-in-law and she tried on a black dress with lots of white netting and white roses at the back. I said to her at the time, ‘if you don’t get married in it, I will’! As it turned out she didn’t get married in it and so when John finally proposed my friend rang the shop – Gracie Bleu in Matlock Green – and asked if they still had it. Unbelievably, they rang back and said they had a size 14 dress and it was in the sale. As luck would have it I was a size 14 and so I felt it was meant to be! I didn’t want a traditional ivory dress as I am a redhead and I was happy to break with tradition. So I bought the dress and then decided to get pregnant! I ended up having an emergency section which meant I couldn’t exercise to lose all the baby weight until three months before the wedding. 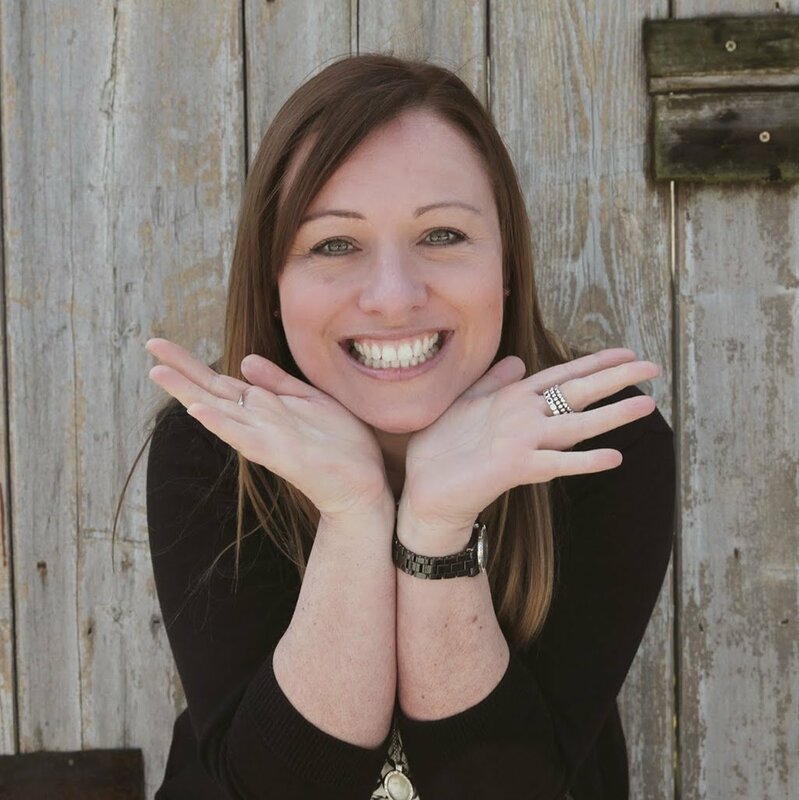 So I had a personal trainer, Kathryn Williams from Zest Fit, who worked wonders. She got me exercising for an hour four times a week and I lost four ½ inches in five weeks – which was lucky because I’d never have fitted in my dress otherwise! 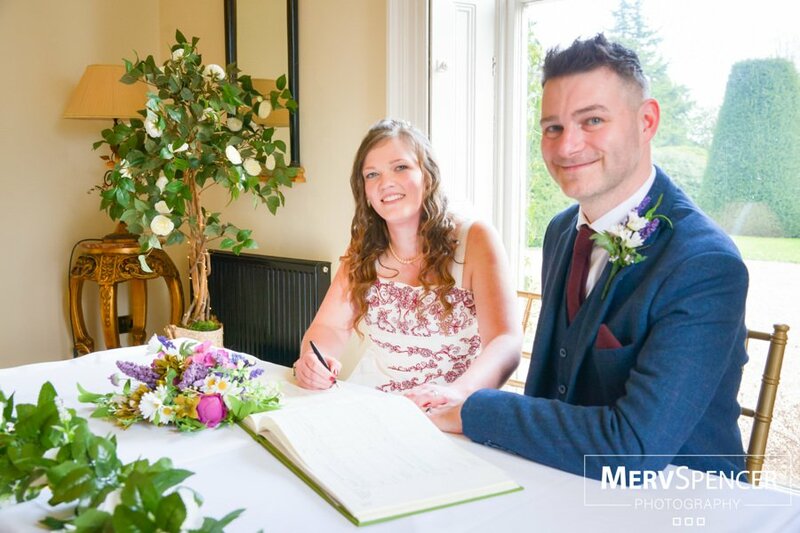 Hair and make-up: My usual hairdresser, Harpers in Belper, did my hair on the morning of the wedding and I did my own make-up, so I felt natural and like ‘me’. 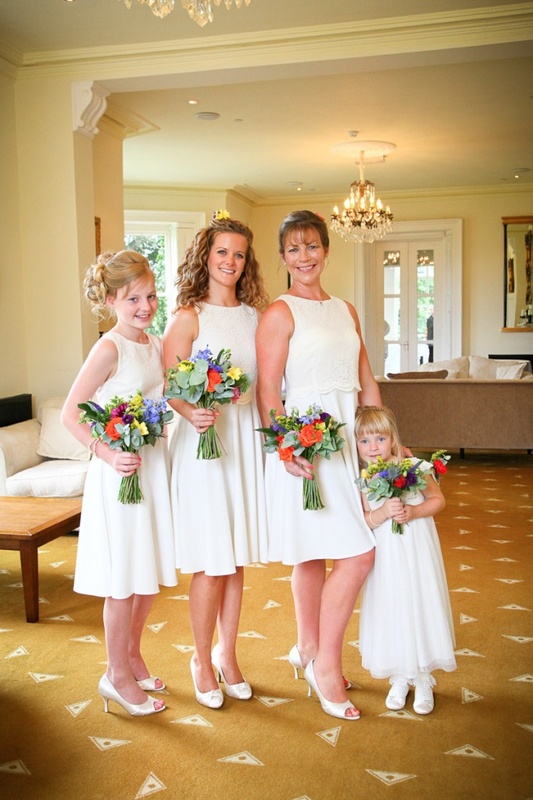 Bridesmaids: My sister Kate was my chief bridesmaid and John’s sister Amy and my two nieces Libby and Emily were bridesmaids, along with my baby girl Grace. They all wore cream – the three oldest girls had dresses from Asos which were plain knee-length dresses with lace on the top half of the dress. The two younger girls had very pretty flowergirl dresses. Flowers: My friend Natalie Wright is a florist in Sheffield and she did all the flowers – it was the biggest wedding she had ever done. I thought I wanted gerberas but instead I ended up with a very natural collection of wildflowers which were all different colours. We all had hand-tied bouquets and she filled white tin vases from Ikea with flowers for all the tables. Best man: John’s brother Ben was best man and we had my three brothers as ushers. The men’s suits came from Moss Bros, in Derby, and our little boy Fred wore a mini version of the same suit. Theme: I did get quite stressed thinking about themes, but in the end we just decided to use the farm as our theme. I arranged for John to be transported to Shottle Hall in a brand new 200hp New Holland tractor which I borrowed off a firm we use. My dad is 6ft 10ins and it made him look small. John thought my uncle would be collecting him for the wedding in a Range Rover but the afternoon before this enormous tractor decorated with ribbons and bows turned up. John was driving Fred around the farm on it at 6.15am on the morning of our wedding. To continue the farming theme we named all our tables after tractors and our amazing invitations, which were made by Little Paper House, had tractors on them too. Ceremony: We were due to get married outside, but it started to rain, so we had a change of plan and actually married in The Orangery, which was lovely. We aren’t a lovey-dovey couple and we just wanted a very simple ceremony. My step-dad Pete walked me down the aisle to My Girl by The Temptations, although we were half an hour late as Grace started screaming just as we were about to set off, so I had to wait until I could get her to sleep. My best friend did a reading of the Velveteen Rabbit and I had a wedding ring, but John didn’t. I am a massive Michael Jackson fan and his music had to feature somewhere – so we walked back down the aisle to I Can’t Stop Loving You. Immediately after the wedding we had a naming ceremony for Grace. You have supporters rather than godparents, and my sister Kate, my cousin Charlotte and John’s sister Amy were all supporters and made up their own promises to her, which was very moving. Reception: Immediately after the naming ceremony we had drinks and lots of canapés, which meant we didn’t bother with a starter for the wedding breakfast. 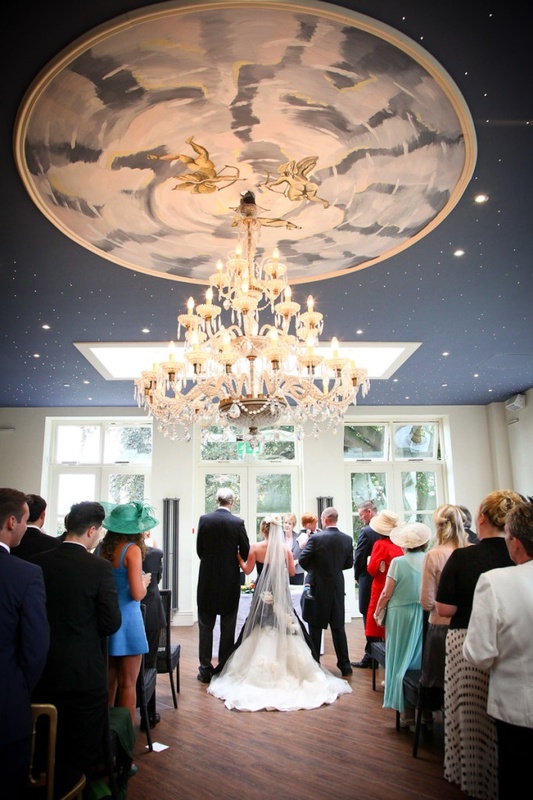 We had 103 adults, nine children and three babies and so the reception was held in marquee. For our main course we had entrecote of beef with forestiere sauce and roasted new potatoes and green beans. Then we had an assiette of puddings – Eton mess, cheese cake and lemon parfait – followed by coffee and cheese and biscuits back in the house. We seated the children in the middle of the room and made a real feature of the kids, because I think it is so important to keep the children happy on occasions like this. We didn’t bother with favours for the grown ups, we felt everyone would prefer the children to have party bags than each grown-up have a chocolate in a little box. Evening: We had 160 guests in the evening and music was provided by Paul from Spirits High. We didn’t do a first dance as we couldn’t agree on music, we have very different tastes. The people who run Fred’s playgroup looked after the children upstairs for us. We had a barbeque which was delicious, followed by wedding cake for pudding. Cake: We had a massive layered Victoria sponge cake because neither John or I like marzipan, John doesn’t like icing and we aren’t really keen on fruit cake! My mum’s friend Jane of Coach House Cakes made the cake which had fresh fruit around the edges. 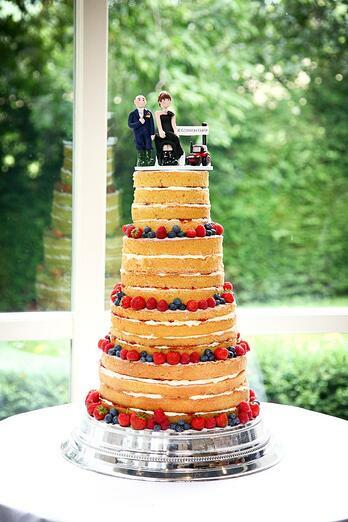 We then had a cake topper with John in his overalls, me in a wedding dress and wellies and a tractor on the top. This was made by Christy from Adorable Crafts, in Chesterfield. Honeymoon: The day after the wedding my granny, who lives in a house overlooking Carsington Water, put on a do for all the family, which was lovely and meant our celebrations went on all weekend. We had catering from Zest4Events which was really good. Then we had a mini-moon in York, which we didn’t decide upon until the day after the wedding. We are all going on a family holiday to Cyprus at the end of September. Best piece of advice: Let the bride have everything her way! Ha ha – only kidding. I think the best advice I could give is to keep it simple. 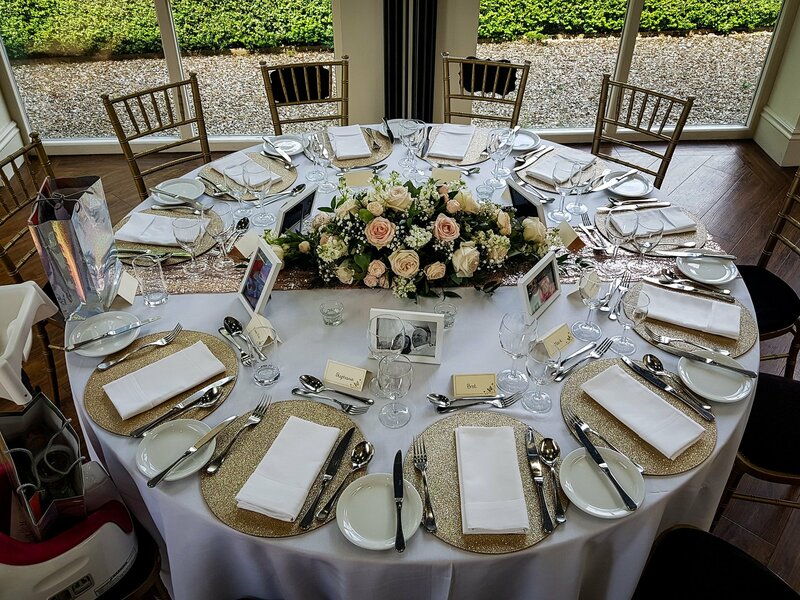 You can end up stressing about colour schemes and themes, but it’s the wedding that matters – not what colour the chair sashes are!